They might be called dumbwaiters, but there’s nothing dumb about them. These convenient types of elevators in Salt Lake City can offer your home or place of work a multitude of benefits, and they don’t require much in the way of elevator maintenance. They tend to be particularly advantageous for use in restaurants or for those who have mobility issues and are looking to make their homes more convenient or efficient . Keep reading and wise up about the many benefits that dumbwaiters can provide. Who says elevators are just for people? 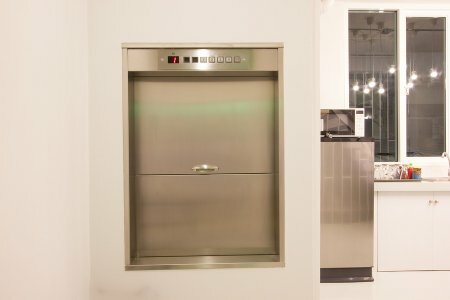 When you install a dumbwaiter in your home, restaurant, or other commercial location, you can easily move materials from one floor to another without having to accompany them for the journey. This can be extremely convenient when it comes to sending a hot entrée up to a second floor dining area, and it can be just as effective if you have a condition that restricts your mobility and you need something from downstairs. Dumbwaiters are available in different colors, and with different weight limits, sizes, and opening options. If you have any problems or need any changes, you can always call your elevator technician for maintenance and repair help.